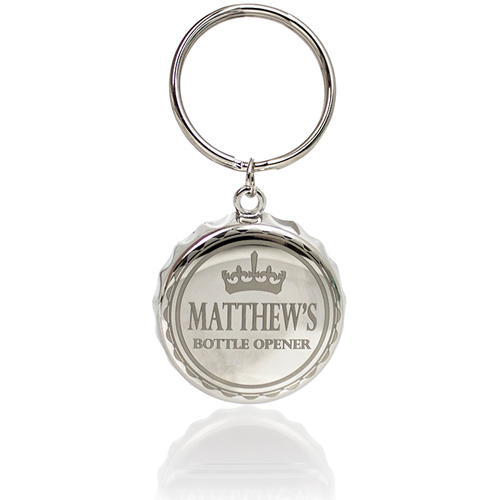 Personalise this Crown Bottle Top Key ring with any name up to 12 characters. 'Bottle Opener' is fixed text. This great key ring is shaped like a bottle top and contains a fully functional bottle opener. Comes in a small black gift box.